This week is National Suicide Prevention Week. In honor of that, Thrive is diving into the mental health drivers of a growing and tragic phenomenon. It’s autumn in the northern hemisphere. That means, according to troubling and important research, teen suicide attempts and deaths are on the rise. June, July and August saw a decrease in suicide rates of 1.38 per 100,000 people for 14 to 17 year olds. That’s a big difference—enough to make a state drop ten or so spots on national suicide rankings. (Public health numbers measuring murders, suicides and the like tend to use “per 100,000” constructions, since, among other reasons, it yields easier to read results, like 4 in 100,000 rather than than 0.004 percent.) Hansen tells Thrive Global that there’s a 23 percent drop in suicide attempts during those summer months, too, according to his forthcoming research with frequent collaborator Matthew Lang, an economist at the University of California, Riverside. The mental health challenges of American adolescents are getting more extreme. While adults might shrug the social pressures of middle and high school off—We got through it! Tough it out!—that is, in the truest sense, survivorship bias. Adolescents are particularly vulnerable to taking their own lives: attempts peak at age 15. And trends point to it getting worse. The rate of suicide attempts for 10 to 14 year olds rose 135 percent from 2001 to 2014, according to CDC data. While the raw numbers remain small, the rates tripled for girls in that same age range—from 0.5 attempts per 100,000 people to 1.5 per 100,000 people. And in 2015 alone, more than 2,000 people aged 15 to 19 took their own lives, a 29 percent increase since 1975. Guy Diamond, PhD, who directs Drexel University’s Family Intervention Science program for depressed, substance-abusing or suicidal adolescents, tells Thrive Global that sussing out the cause of these big increases is a deeply complicated question. For starters, social media has exacerbated the already complicated lives of teens, who are, at a neural level, more sensitive to social approval—both in-person and in likes—than adults. The trope used to be that teens would spend way too much time talking into the telephone, but now they’re keeping up Snapstreaks. After controlling for depression and drug use, bullying is the leading predictor of suicide risk, notes Hansen, the Oregon economist, and other forthcoming research of his suggests that kids who are bullied are up to 30 percent more likely to commit suicide. A 2017 study of ten European countries found that boys were more likely to be physically and verbally victimized, and girls more relationally victimized (like by having rumors spread about them). The physical victimization was associated with thinking about suicide; the relational was linked to attempting it. 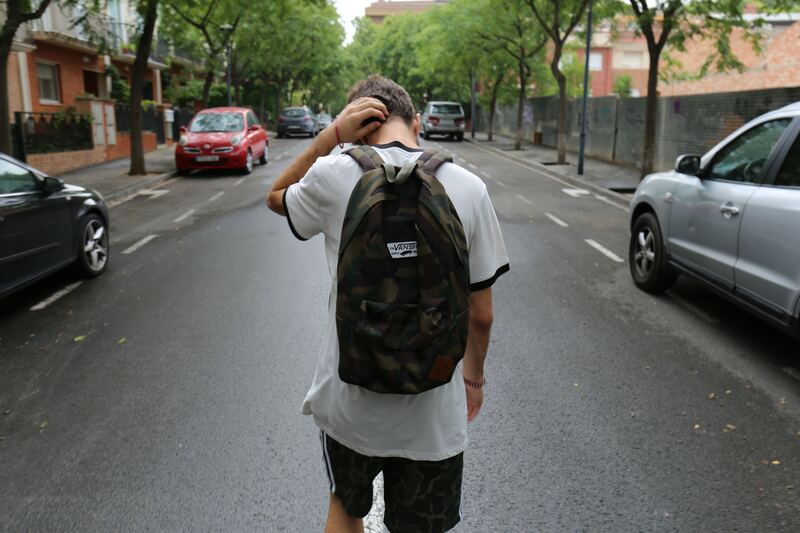 A 2014 JAMA study found that children and adolescents who had been bullied were more than twice as likely to think about or attempt suicide than those who hadn’t. Another 2017 study found that female students were more likely to report being cyberbullied than male students, and that it was linked with depressive symptoms, thinking about suicide and attempting it, too. The recent deaths of Brandy Vela, an 18-year-old in Texas, and Mallory Grossman, a 12-year-old in New Jersey, both of whom took their own lives after being bullied, provide headline-grabbing evidence of the toll of American adolescent life. Thanks to converging trends, the pressures of high school are even harder to avoid than they used to be, particularly once you’re back in school for the year. Hansen says that teens also spend more time at school than they used to—an estimated seven hours more per week than students did just one generation ago—and they’re working less. They are also many more American teens in school: in 1985, just 60 percent of teens attended, and in 2015 a full 75 percent did. Teens with smartphones are on them for four hours a day, and we can assume much of that time is spent on Instagram, Snapchat, WhatsApp or another social platform. Complex issues require complex solutions. In an essay quite directly titled “Abolish High School,” author Rebecca Solnit argued that the mental health trials inflicted by American secondary education are at least partly influenced by how all-encompassing high school is when you’re going through it: while sports, theatre and other extracurriculars are done in clubs further beyond the social web of school in the UK and Europe, they’re largely bound into the “classic” high school experience in the U.S. You can’t really escape from high school social life in the U.S., no matter what you’re into. No wonder that in 2015, one in eight — a full 3 million — adolescents aged 12 to 17 in the U.S. had at least one major depressive episode. The difficulty of being a teen these days has also been heartbreakingly normalized: that teen years are hard is held to be some sort of crucible that people need to toughen up for, rather than supported through. This, at least in part, is changing: Dan Savage’s It Gets Better campaign, for example, provides aid and support to LGBT youth. But given how volatile adolescence is for any organism that goes through it, campaigns like this could be broadened out to everyone. If you or someone you know is affected by thoughts of suicide, please refer to the American Foundation for Suicide Prevention, or call the Suicide Prevention Hotline at 1-800-273-8255.